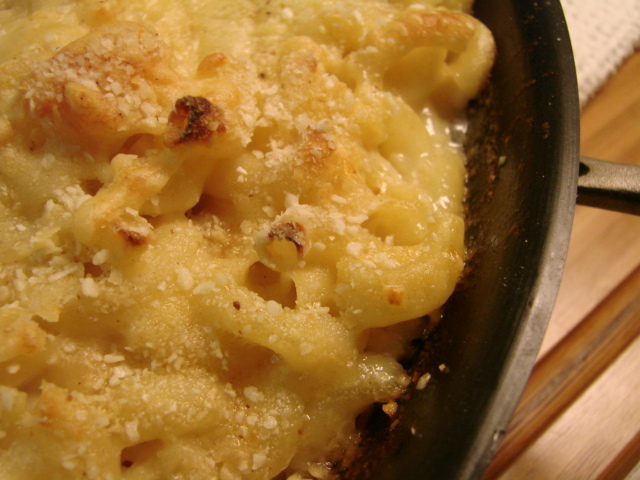 I've tried several recipes for mac and cheese. Creamy and a lot of cheese sauce was important to me. A lot of sauce is reminiscent of the Kraft macaroni and cheese I ate as a child. I still can see the neon cheese sauce coating the macaroni and pooling on my childhood plate. 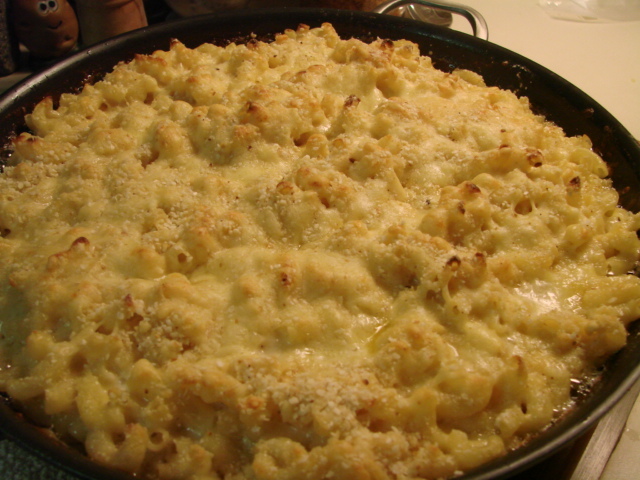 It's taken me a while, but I realize that creaminess, especially where mac and cheese is concerned, is not an abundance of sauce, but a certain "mouth feel". This recipe is creamy and rich and not over sauced. 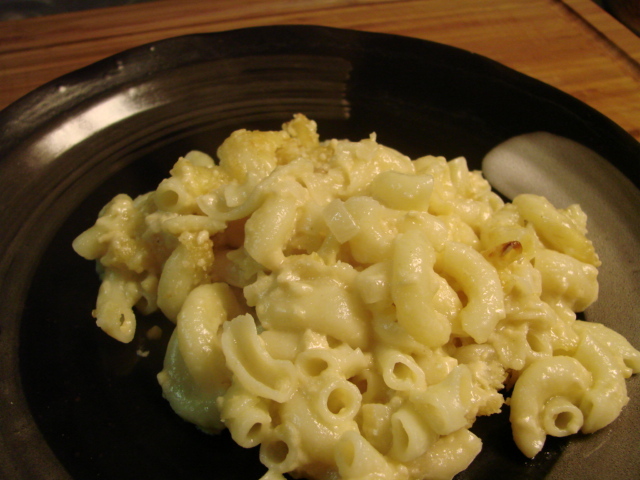 Here's what I did to make my favorite so far, mac and cheese. Assembled the ingredients and had Saveur Magazine open to the right page. Melt butter in a large saucepan over medium heat. 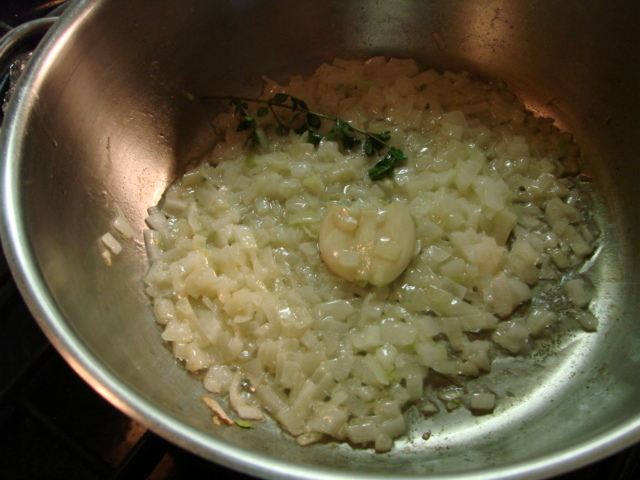 Add onions, garlic, thyme and cook until onions are soft, 8-10 minutes. Add wine and cook for 2-3 minutes. Remove and discard garlic and herbs. Whisk in flour and cook, stirring, for 1 minute. constantly, until thick and creamy, about 30 minutes. Remove pan from heat and stir in 3 cups of cheese, 1 handful at a time, stirring until completely melted after each addition. Season to taste with salt and pepper. Add pasta to sauce and stir until well coated. 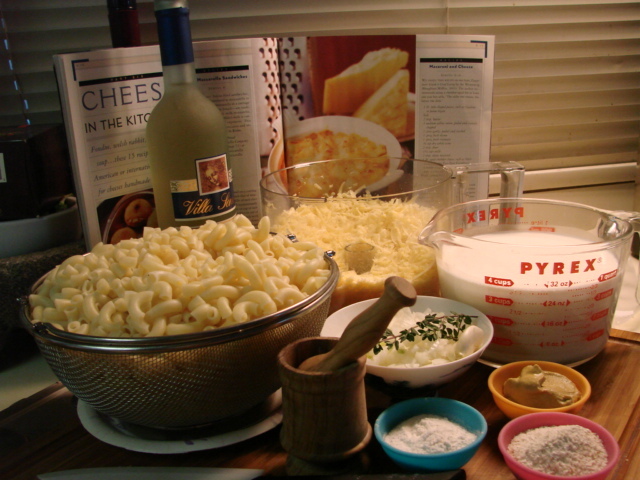 Transfer macaroni and cheese to an 8-9 cup baking dish, scatter remaining cheese on top, then sprinkle with bread crumbs. Bake until crust is golden about 25 minutes. mmmm ready to eat, creamy and rich. One thing I really liked was the elbow macaroni I used. I bought Sipa brand at a Middle Eastern grocery store I go to once in a while. It's made with, according to the package, "Durum wheat semolina of first quality. gluten contains." Looks like it's made in France. One thing I noticed is that it cooked quickly and was not overly starchy. I used 10 ounces of a white aged Irish cheddar and 6 ounces of Gouda. It's creamy but not runny with the cheese sauce.The white sauce used in this recipe is now my favorite way to make a white sauce. That in itself was worth learning from this recipe. Preheat oven to 400°F. Meanwhile cook pasta in a large pot of boiling salted water over high heat for 5-7 minutes or until not quite cooked through. Drain, rinse under cold running water, and drain again. Melt butter in a large saucepan over medium heat. Add onions, garlic, thyme and rosemary and cook until onions are soft, 8-10 minutes. Add wine and cook for 2-3 minutes. Remove and discard garlic and herbs. Whisk in flour and cook, stirring, for 1 minute. 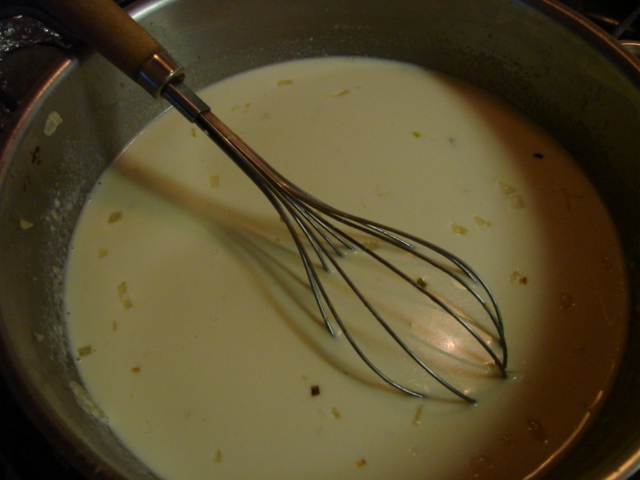 Gradually whisk in milk, then mustard. 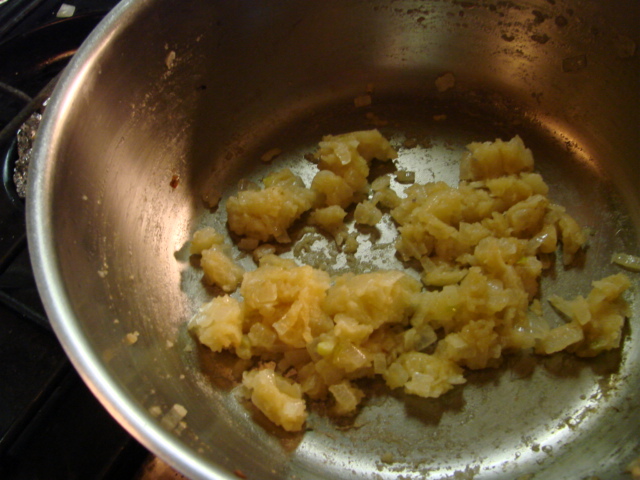 Reduce heat to maintain a gentle simmer and cook sauce, stirring constantly, until thick and creamy, about 30 minutes. 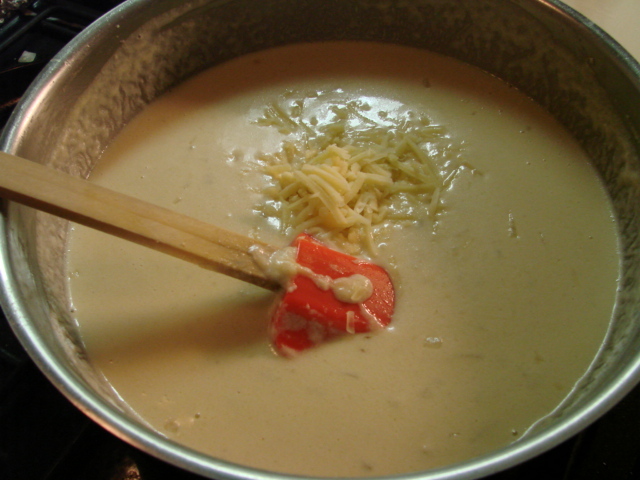 Remove pan from heat and stir in 3 cups of cheese, 1 handful at a time, stirring until completely melted after each addition. Season to taste with salt and pepper. Add pasta to sauce and stir until well coated. 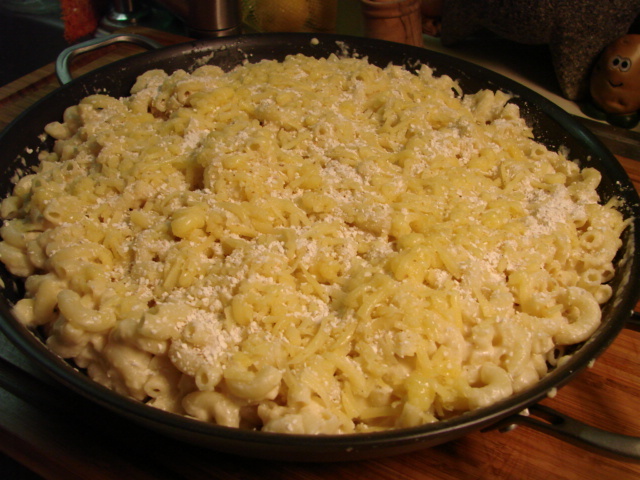 Transfer macaroni and cheese to an 8-9 cup baking dish, scatter remaining cheese on top, then sprinkle with bread crumbs. Bake until crust is golden about 25 minutes.